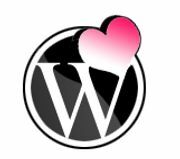 Want to learn more about WordPress and WebMatrix, or WordPress performance? Come out to the next SoCal WordPress meetup hosted by Microsoft! C'mon out and join us for two great speakers covering two useful topics: WebMatrix and WP Performance! This meetup is FREE, thanks to our sponsor, Microsoft. First up, Alice Pang of Microsoft will demo WebMatrix, a new tool from Microsoft, and show you how you can get a WordPress blog up and running in less than a half hour. Next, Noel Saw will take the stage and discuss WordPress performance, sharing handy tips and tools for tuning your WP install to run quickly and efficiently. Food and drinks will be provided by our sponsor, Microsoft. Alice grew up in Louisiana and came out to sunny California after high school to attend Stanford University, where she received her B.S. in Electrical Engineering/Software. She then moved across the bay to get her M.S. degree in Industrial Engineering and Operations Research/ Management of Technology through the Haas School of Business and College of Engineering at the University of California at Berkeley. While at Stanford and Berkeley, she was heavily involved in various dance groups and enjoyed organizing networking, mentoring, and community outreach events for the Society of Women Engineers. Noel Saw has been a WordPress user and meetup organizer sine 2008, first founding the East Bay WordPress meetup in the SF Bay area. After he moved back to Los Angeles, he joined as a co-organizer for the SoCal WordPress meetup group with almost 800 members. Noel consults on various unique WordPress related projects professionally. His favorite performance tools for WordPress are WP Super Cache, MaxCDN, and Pingdom tools. He has organized and presented at over 25 meetup events. Paid parking is available in the Wells Fargo or World Trade Center garages. These would be the most convenient, but also most expensive options. There is also the Pershing Square garage, located at 530 S. Olive St - they accept checks and credit cards and charge a $6.40 flat rate after 5pm. There are several cash-only lots with flat rate $5.00 parking in the evenings in the area as well. And if you want to really make things easy, the meetup is handy to the Pershing Square red line Metro stop.